March 10, 2017 By Kevin Gerkin in Caring for your home,Home Improvement,Spring and Summer. 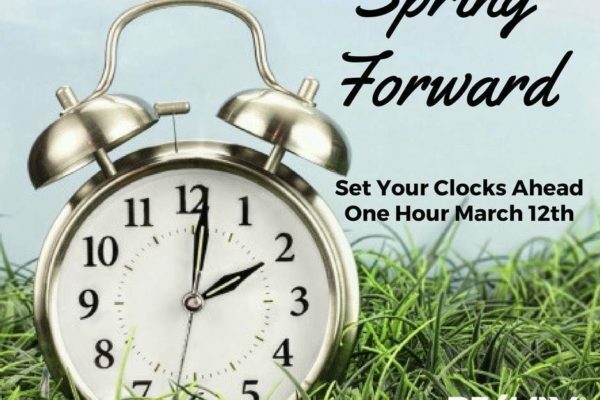 Don’t forget to set the clocks ahead 1 hour on March 12th, 2017. It’s a good time to change the batteries in your smoke detectors too! Got a nice day in March? After a long winter it’s refreshing to crack open the windows for a few minutes and let some fresh air through the house. We had funny early cold weather in the fall and a lot of us we’rent able to get the leaves raked. Get out and do a bit of yard clean up in shorter stints on select nicer days so it’s not an overwhelming task to tackle all at once. Browse any and all listing on the MLS, right here from my site! Thanks for visiting. Call me anytime.